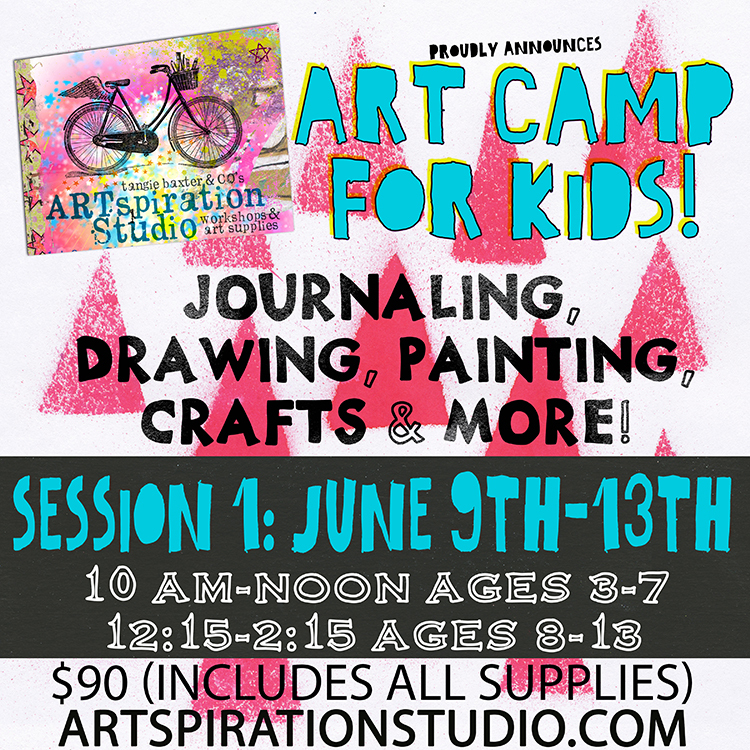 We’re excited to announce our Art Camp for Kids, it’s the perfect summer activity for girls and boys! We’ll be working on 3 projects over 5 days including making our own art journals, art journaling, drawing, painting and a craft! These classes will have several choices and lots of freedom for your child to follow their own voice on what they want to do! We’ll teach them the techniques then let them follow their intuition as they try it for themselves in the Studio! Your kids are sure to LOVE it! Includes a snack each day. Space is limited, so register early! Camp Fee is NON-REFUNDABLE as we are holding a spot for you. However, it is transferable if you would like to find someone to take the spot. Please put in the “notes to seller” which session and age group you are registering for. Registration/Consent form MUST be emailed, dropped off or sent to us by start of class. No child will be allowed to participate without this form. You may drop your child off no earlier than 10 minutes before class starts. Please pick up your child within 5 minutes of class ending, as we are running several classes a day. Snacks and water will be provided, if your child has ANY food allergies please alert us. If you have any questions about our camps please use the “contact us” form on the site and we’ll get back to you as soon as we can!